After coming across Charlotte’s appeal on Facebook for a kind hearted individual to help get her new business off the ground with barely any budget but bags of excitement and enthusiasm, MD Richard decided that after another successful year for iDC it was time to give something back. 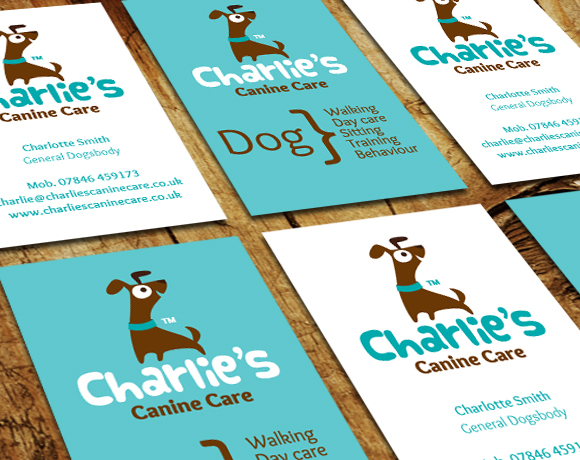 He got in touch with Charlotte, idea’s already brewing and offered the assistance of iDC, free of charge, in getting her canine care business up and running. Needless to say, free advice and assistance for any start up business is invaluable so we’ve caught up with Charlotte to find out how it has improved the ‘start up’ experience for her. After seeing how much iDC’s contribution has helped Charlotte get started, Richard and the team have decided that, from now on, each year they will lend a creative hand to a start up business completely free of charge. We are all aware how difficult it can be to get a new business set up and how a small amount of help and direction can greatly increase the chance of success.